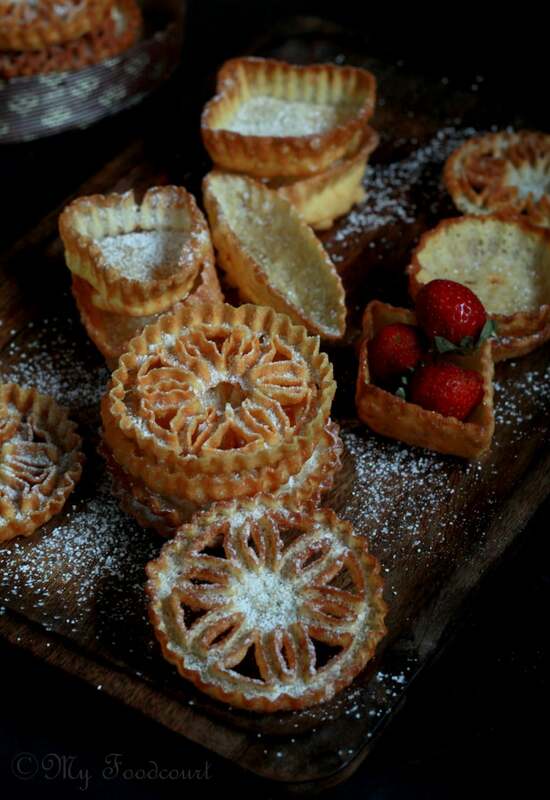 Airy, delicate, melt in your mouth- these deep fried Scandinavian Rosettes and Timbales are a delight to make and eat! 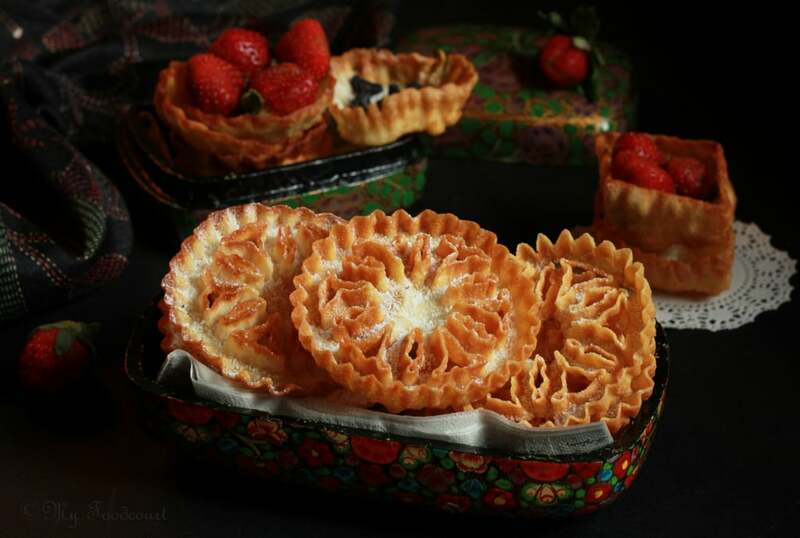 Christmas is just around the corner and what better way to kickstart the festivities than these gorgeous, intricately designed cookies & pastry shells which are traditionally made during Christmas! 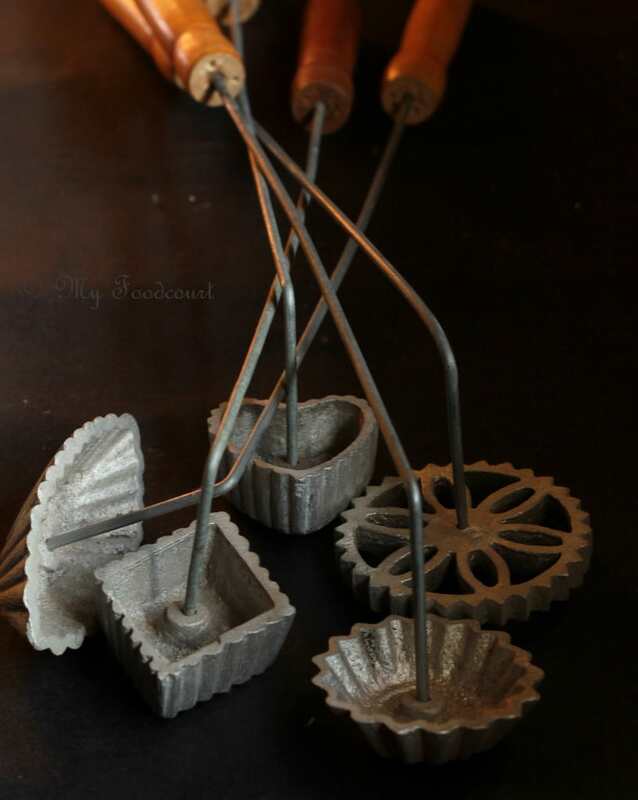 I have been hoarding these special Rosette and Timbale irons/moulds for many many years now. I found them in a hole-in-the –wall shop in Tulshibaugh, Pune (of all the places). I just bought them on a whim, not knowing what they were used for. They made it to my ‘To be used immediately’ list when I found them during one of my recent cleaning sprees. For the basic pastry,most of the recipes online use the same proportion of Flour,egg and Milk more or less and the batter can be whisked together quickly. I added an extra tablespoon of sugar for the sweet lovers in my house (except me) and a pinch of baking powder (I may skip this next time). 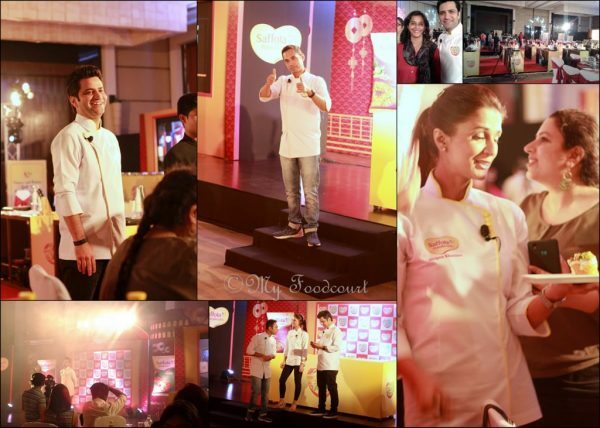 Moulding and deep frying the cookies is a bit tricky and needs some practice as well as patience, if you are a novice. 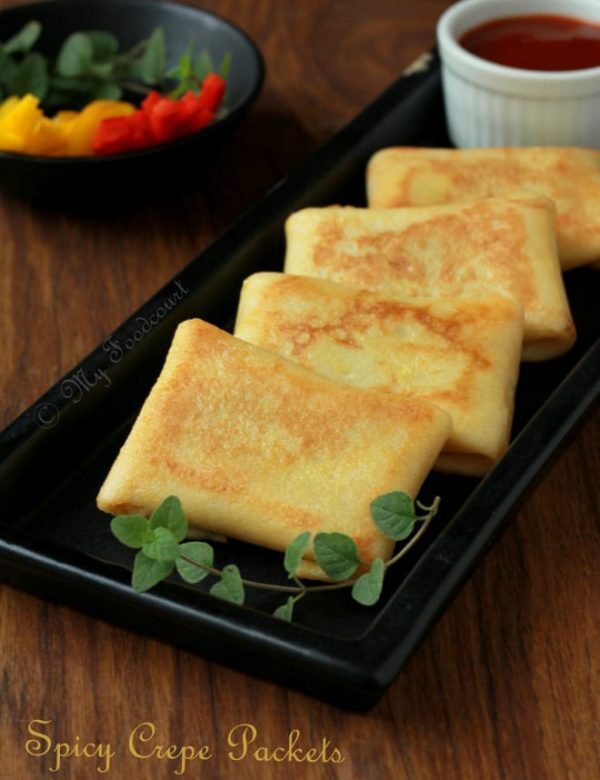 The iron is heated at a high temperature in hot oil, then dipped in the batter so that the batter sticks to it and then re-immersed in the hot oil to create a crisp pastry layer around the iron which can then be taken off with the help of a fork. Just reading this might seem intimidating, but it was easier once I got a hang of it. The Timbales were trickier to take off the iron and to ensure they were fried evenly.. The fried cookies and pastry shells are dusted with Icing sugar to make them sweeter as well as to give them a festive look. Achapam, the traditional cookies from Kerala are on my list next. They are very similar to the Rosettes but are made using Rice flour. The Timbales were served filled with fresh fruits. You may also fill them with custard. Heat oil in a pan deep enough to fry the cookies. Carefully dip the iron in the hot oil for 2-3 minutes. Drain the oil and immediately immerse the iron in the batter just upto the top egde for a few seconds. (You will hear a sizzling sound if the iron is hot enough, once you dip it in the batter) If the batter is over the top, it will be difficult to remove the cookies. Immerse the iron back in the oil and fry on medium heat, till the cookies are light brown (evenly) in colour. Use a fork to gently push them out of the mould. Use a slotted spoon to remove the cookies, if they fall off in the hot oil. Drain them on a paper towel and dust with Icing sugar. Note: Rosettes as well as the Timbales are best eaten within 1-2 days or being made. To store, keep them layered between sheets of waxed paper in an airtight container preferably in a cooler part of the house. 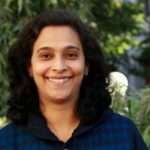 Wow- Madhuli, this is amazing! They look like works of art, too pretty to eat. Tulsi bag has the most amazing finds.